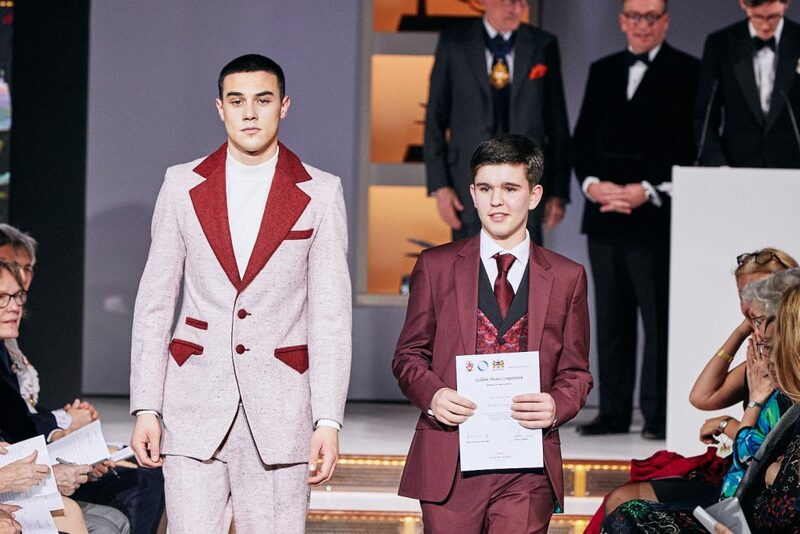 Matthew Stanley of year 11 has recently attended three high profile Fashion and Tailoring events marking the unprecedented success of his hard work over the past academic year spent at Inkberrow Design Centre (IDC). In parallel to his GCSE studies at RSA Matthew attends IDC each Wednesday on day release where he is studying Millinery, Tailoring, Fashion and Design and Pattern cutting. These are all City & Guild underwritten qualifications. 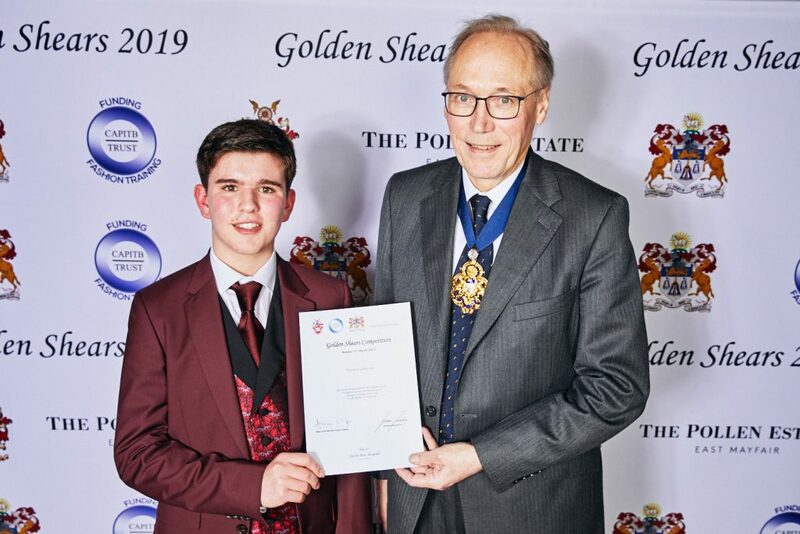 On 11th March by invitation Matthew travelled to Carpenter’s Hall in London where he was presented with a City and Guilds Learner of the Year award. 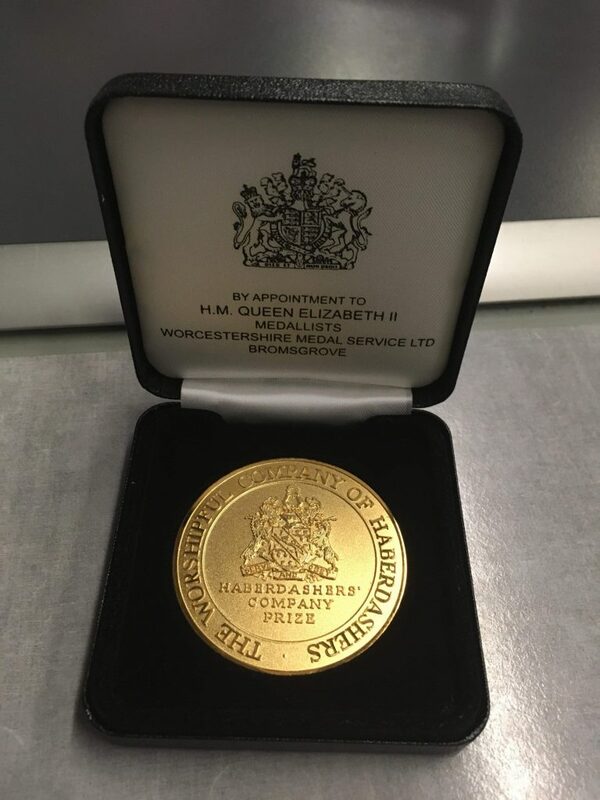 This prestigious award was presented to Matthew by the Lord Mayor of London and the Worshipful Company of Haberdashers. 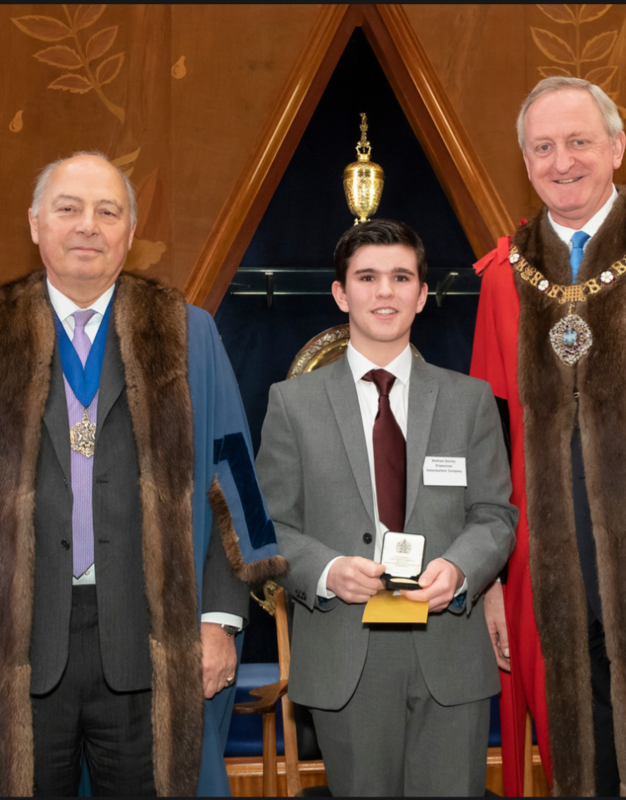 Each year a number of the City of London Livery Companies present prizes to people who they feel have excelled in their particular field and this year the Haberdashers awarded Matthew for his success in his City and Guilds achievements. Following on from this Matthew then featured his own designs at the NEC’s Sewing for Pleasure ICHF exhibitions on the Young Designer’s Catwalks hosted by his college IDC. Finally on 18th March Matthew became the youngest ever entrant to qualify for the prestigious Golden Shears finals. This biannual competition hosted by the Merchant Taylors of London is described as the “Oscars of Tailoring” and attracts entrants nationally from our major Universities and from within the Savile Row Apprenticeship community. Matthew was short listed as a finalist from the 100+ entrants competing. Matthew’s own design of bespoke two piece tailored suit, that he pattern cut and constructed, was modelled down the catwalk last Monday evening in front of a celebrity panel of judges including Jodie Kidd and David Gandy. His suit was marked for style by the celebrity panel having been marked for technical competence by an esteemed panel of The Merchant Taylor’s of Savile Row. Matthew has been invited back to London to discuss future opportunities following his successful participation. It remains Matthew’s aspiration to be offered a Savile Row Apprenticeship.